Author Gabriel Palerm, vice president of sales, marketing and media at Liberty Puerto Rico. 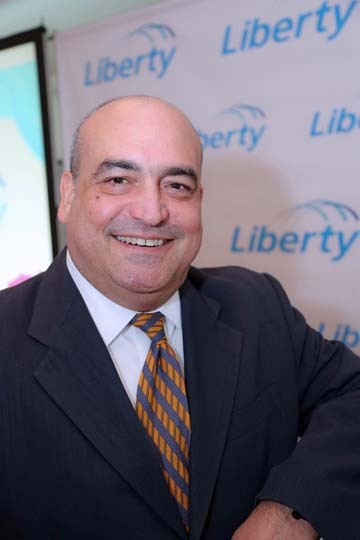 Author Gabriel Palerm is vice president of sales, marketing and media at Liberty Puerto Rico. For several years, the concept of unlimited internet in the mobile phone market has been used aggressively to attract clients. These plans are presented as products that can provide full access to the network all the time, with the same speed and an agreed fixed price. However, the small print of their offers shows that this concept is wrong. There is no unlimited internet over the mobile network. A decade ago, unlimited internet plans for mobile phones made sense for this market, as the use of the internet was less intense. Customers only used the service to answer emails and surf the web — one with sites that had that much less content. The rise in the use of smartphones, along with the proliferation of applications and the increasing use of social networks and video services (Facebook, YouTube, Twitter), drove a drastic increase in the consumption of internet data at the individual and collective level. This congested the capacity of cellular networks, and forced many providers around the world to reduce the speed of the internet for high-usage customers, thereby reducing their data consumption until they began their new billing cycle. One reason is the Fair Use system, which is used by the industry globally to ensure space for all users within the internet. Customers, for example, can contract a quantity of data, but if they use it all up before finishing their billing cycle, their speeds will be reduced to a slower one than the one they have in their contracts. If you read the legal notice (small print) in many offers, you will see it as one of the stipulated conditions. The truth is fixed broadband connections are the ones that can provide a better unlimited internet experience. For residential purposes, fixed line internet has no limit on use, except for a few exceptions in case of misuse for commercial purposes. For example, one hour of HD video streaming equals 3 gigabytes of internet data. If customers want to stream movies and videos on their cellphones using their mobile internet plan, they are likely to consume their entire monthly data amount before the end of their billing cycle. But if customers watch this content through a fixed internet connection, they can see everything they want without worrying about how many gigabytes are used or sacrificing speed. However, customers must make sure that their service has the appropriate speed (measured in megabits) for the desired use. Both technologies have their purpose. Access to the internet through mobile phones is a great advantage when mobility is needed, but it can never be compared to the advantages offered by a fixed line internet connection. Fixed broadband connection is the industry standard. Hey Buddy!, I found this information for you: "Op-Ed: Mobile doesn’t replace a fixed line connection". Here is the website link: https://newsismybusiness.com/mobile-replace-connection/. Thank you.